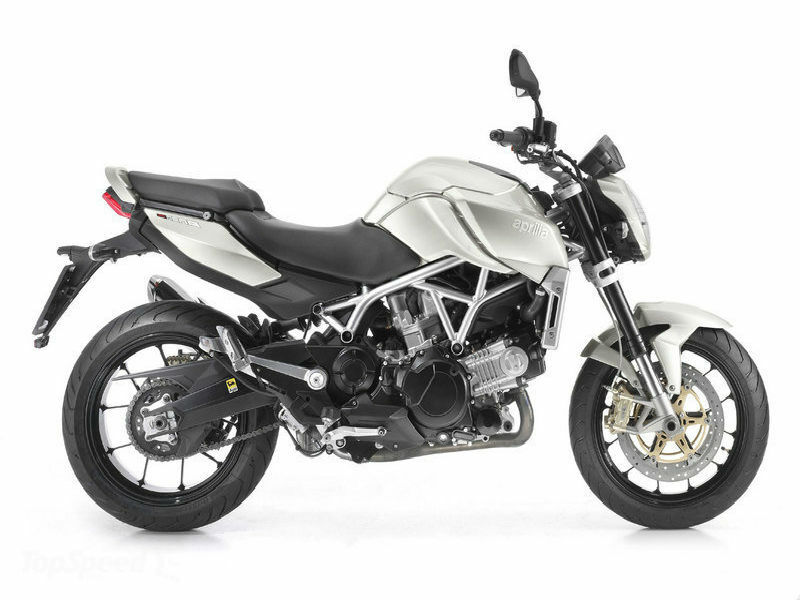 Aprilia Mana is an impressive naked bike with quality features, advanced technology and great performance. Read the review to explore the features, technical specifications & price. 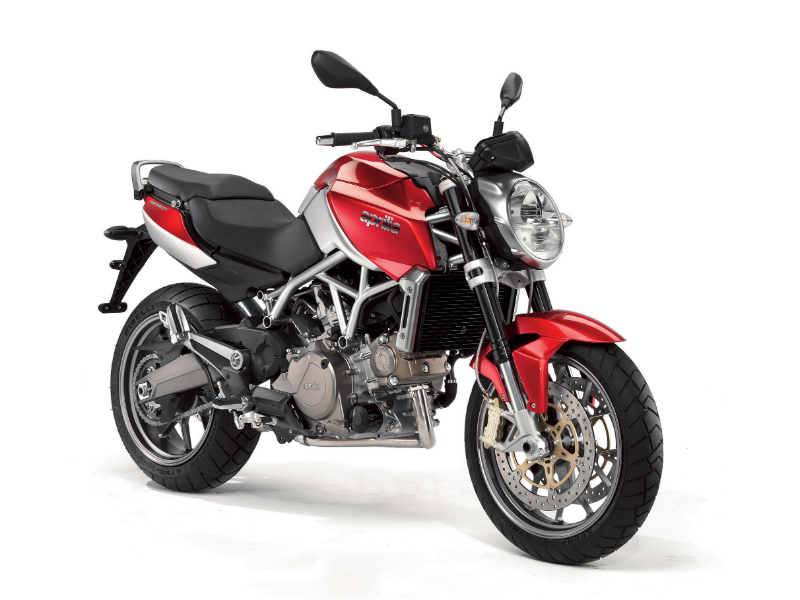 Aprilia Mana is an extraordinary motorcycle with good looks, better performance, great handling and added comforts. The motor vehicle which comes with rough and macho looks serves as the major attraction. Along with the stylish appearance, comfortable seat and storage area under it act as a striking feature of the bike. Further the bike also blessed with advanced technology to assure better driving and thrilling speedy performance. The Aprilia Mana is powered by competent 839.3cc, 90° V twin four stroke, liquid cooled engine. The maximum power generated is about 76 Bhp at 8000 rpm and the highest torque achieved is 73 Nm at 5000 rpm. The power so produced reaches the wheels through auto drive mode or manual sequential gearshift. The features of the bike including the engine, mirrors, headlamp, foot rest, handle bar, fuel tank and many other points which add to its charms. The curves and lines on its body not just designed to meet the demands of aerodynamics but also add a trendy appeal to motorbike. The broader wheels, structured seat and classy instrument panel are other noted factors about the vehicle. 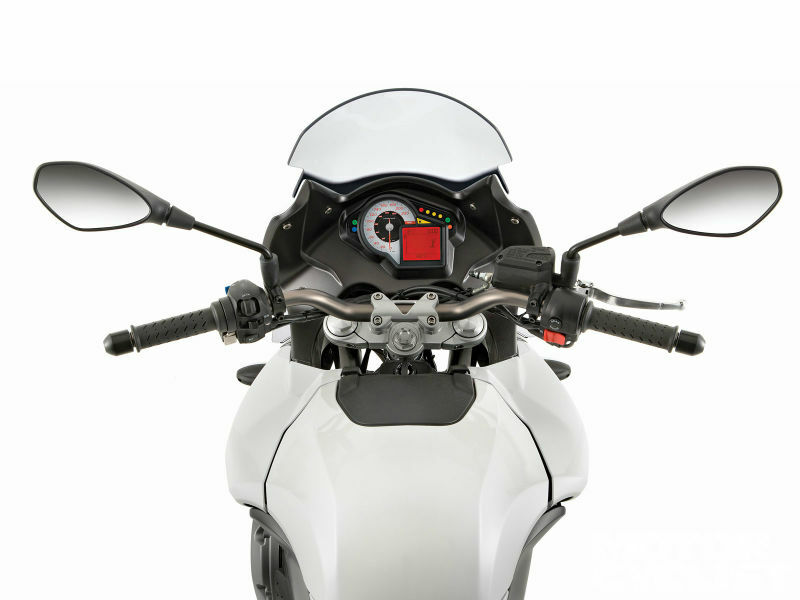 Riding the naked motorcycle Aprilia Mana is an all new pleasurable experience because of which every rider falls in love with it. The user friendly design of the bike with comfortable seating position and proper foot peg makes driving easy. The quality suspension of the vehicle including the front 43 mm upside-down fork and rear Aluminium alloy single-piece swingarm makes the driving even more smoother and jovial. Further the disc brakes used both at the front and back wheels assure complete control of vehicle to the rider. In average Aprilia Mana I expected to give the mileage of about 20 kmpl, however this varies with the road condition. The trendy bike is available in different variants namely Aprilia Mana 850, Aprilia Mana 850 ABS and Aprilia Mana 850 GT ABS. The ex-show price of the previously mentioned vehicles are respectively Rs. 10,50,000, Rs. 10,75,000 and Rs. 11,00,000.